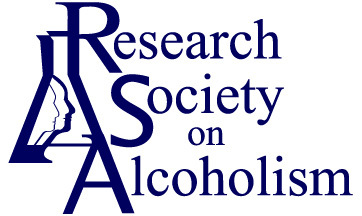 RSA has initiated a new Graduate Student Small Grants Program. Each year a total of four (4) MD, PhD, or MD/PhD students will each receive $5,000 to support their projects. Funding will be for one year. ELIGIBILITY: Applicants must be sponsored by an RSA full member and the topic of the proposal must be relevant to the mission of RSA to “promote the acquisition and dissemination of scientific knowledge in the areas of basic science, risks and resiliency, treatment, outcome and recovery, and policy and economics.” Students with current independent research support from NIH (F31 fellowship), NSF, or another national organization (e.g., APA minority fellowship), are not eligible for this award. For those with a T32 grant, you may apply but should not budget for additional salary beyond the salary being received from the T32. *Note that funds may not be used to support indirect costs to universities, so applicants should confirm that either a) the university will not charge indirect costs to awardees, or b) the applicant’s unit will cover any indirect costs to the university. Applicants are also encouraged to ask their units for matching funds to provide further support for their project. Confirm that either a) the university will not charge indirect costs to awardees, or b) the applicant’s unit will cover any indirect costs to the university. Indicate YES if you have a T32 grant. Submit a Curriculum Vitae (CV) to accompany their LOI. File upload as a PDF or PDFX only. THE INITIAL REVIEW PROCESS: Letters of intent will be reviewed by the RSA small grants program review committee and the most promising applicants (8-10) will be asked to submit a full (4 page) grant proposal into a new online module. The review criteria for the letters of intent will mirror those used in evaluating the full proposals (see below) and the committee will seek to balance funding for pre-clinical and clinical/psychosocial studies. FORM OF THE GRANT: The FINALISTS’ grant application must be limited to a total of four pages, single spaced, using 11-point Arial font. The sections of the grant will be (1) an abstract (limited to 500 words) which must include a statement of the hypothesis, (2) budget, (3) significance and background, (4) methods, and (5) references. Also, the finalists must submit an NIH style Biosketch, and a cover letter (1-page, single spaced, using 11-point Arial font) that includes a brief description of anticipated results and their relevance to the mission of RSA. The faculty sponsor of the proposal must submit a letter of support on letterhead (1-page, single spaced). The budget should provide details regarding the necessary expenses to complete the project. The money awarded may be for salary, supplies, costs related to data collection (e.g., subject payments), travel to RSA and, under special circumstances, small pieces of equipment pertinent to the research. All materials will be required to be downloaded as a PDF (or PDFX) once the link is provided. EVALUATION OF PROPOSAL: Full proposals will be evaluated using the following criteria: (1) importance or significance of the project, (2) originality of the study, (3) the research plan and budget, (4) the clarity and presentation of the proposal, (5) relevance of the project to the mission of RSA, and (6) the strength of the applicant and his/her ability to successfully carry out the proposed work. FULL GRANT REVIEWS: Full grant proposals will be reviewed by full RSA members who are not affiliated with any of the finalists. Three reviewers will be selected by the RSA Small Grants Committee and each reviewer will evaluate all proposals. Reviewers will receive an honorarium for participating in the review process. EXPECTATIONS FOR AWARDEES: Students who receive funding are expected to become (if not already) student members of RSA and to present at the RSA annual conference in the summer following completion of the 1-year award. Registration fees will be waived, but lodging and other travel expenses are the responsibility of the student. These costs may be built into the budget of the proposal, and awardees remain eligible for RSA Student Travel Awards, which may further offset the costs of conference attendance. Awardees are also encouraged to apply for the Gordis Award in the year in which they present their findings. MORE DETAILS about requirements, additional funding suggestions and finalists’ application deadline will be sent when finalists are notified. Non-finalists will also be notified of the committee’s decision.